Guests of Lake Pointe Inn have a wide variety of activities to partake in during their stay. One popular pastime in the Deep Creek Lake area is golf. 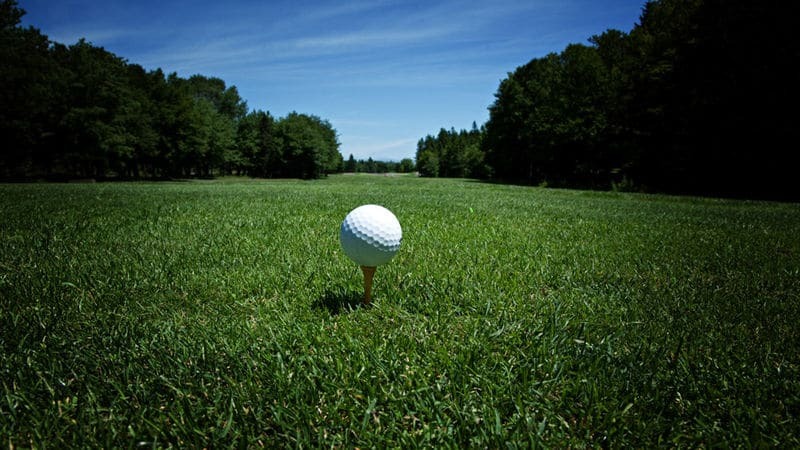 Our McHenry MD bed and breakfast is located near several golf courses that will please you whether you’re an old pro or hitting the greens for the first time. To get an idea of what to expect, read our short guide to Deep Creek Lake golf courses. The 18 hole championship course at Thousand Acres Golf Club was designed by Craig Schreiner and was built to protect and enhance the natural environment while providing excellent golfing conditions. Thousand Acres is located in Swanton. The front and back nine have distinctive terrains, making for an exciting variety throughout your game. The setting of the Appalachian Mountains enhances your Deep Creek Lake golf experience. Golfers can also appreciate the view of Deep Creek Lake below the course. This Deep Creek Lake golf course is just minutes from the lake itself. The course measures 6,395 yards of rolling terrain. An 18 hole championship course, Oakland is often called on of the area’s “best kept secrets.” The course accommodates players of all skill levels, whether you have a low handicap or are just starting out. Along with the golf course, the Golf Club at Oakland features a driving range, putting green and Club House Restaurant. The restaurant has a Patio Bar with big screen TVs and music. For more information on guest fees and booking tee times, click here. Named one of the “100 Must-Play Courses of the Mid-Atlantic” the golf course at Wisp Resort is a par-72 championship course. The course measures 6,911 yards and provides wonderful views of the surrounding mountains. The designers of this Deep Creek Lake golf course took advantage of the natural contours of the mountain when building it at the base of the ski slopes. Golfers of all levels will enjoy the Wisp Resort Golf Course. After a day on the fairway, a Deep Creek Lake bed and breakfast is the ideal place to come back to. Recount your Deep Creek Lake golf experience shot for shot around our fire pit or on the wrap-around deck with views of the lake. Our rooms and suites are luxuriously appointed in the Arts and Crafts tradition and feature gas fireplaces and private baths. Your stay includes a delicious hot breakfast each morning, or if you plan to book an early tee time at one of the above Deep Creek Lake golf courses, you can take advantage of a continental breakfast. By booking a room at Lake Pointe Inn, you ensure that your trip to Deep Creek Lake will be memorable and truly special. Photo courtesy New Brunswick Tourism.